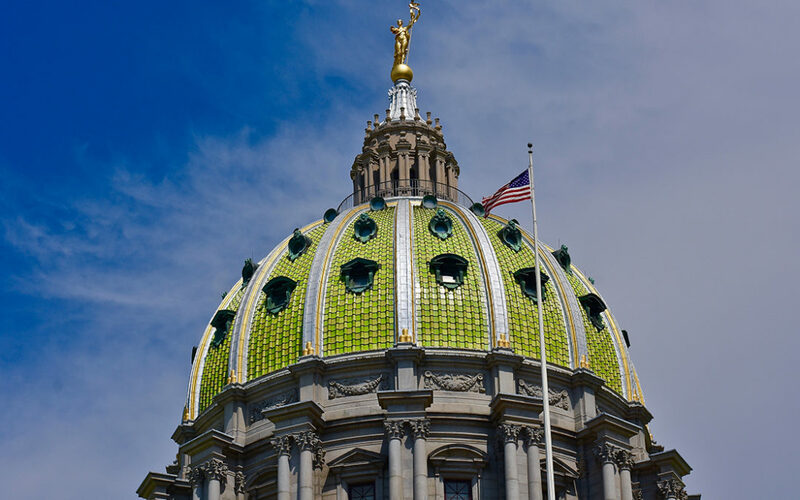 Harrisburg, PA – Today, Governor Tom Wolf addressed the Pennsylvania General Assembly and presented his budget for 2019, which would launch the Statewide Workforce, Education, and Accountability Program (SWEAP). SWEAP offers strategic investment in the citizens of Pennsylvania from birth to retirement by expanding access to early childhood education, increasing investment in teachers and schools, and building public-private partnerships to ensure our workforce training matches industry demand. The budget calls for an increase of $200 million for basic education funding, $50 million for Pre-K and Head Start, $50 million for special education, and $8 million in one-time grants for community college students or graduates that commit to staying in Pennsylvania for employment to alleviate crushing debt. “No legislator can do more for a child than a teacher can. These strategic investments will help retain professional talent not just in wealthy suburbs, but also in our poorest communities, many of which are rural. Focusing on learning at all ages is vital to creating opportunity and fighting poverty, the governor’s budget shows a commitment to our citizens,” stated Senator Muth. The governor also proposed $10 million in new funding for PAsmart (Statewide Movement for Accountability, Readiness, and Training) to connect workers with apprenticeship programs and expand career and technical training for adults. “Our economy keeps evolving with new innovative businesses, industries, and technologies. Pennsylvania needs workforce development programs to prepare people for those emerging fields and careers and the governor’s budget is a bold step in that direction,” continued Muth. SWEAP also addresses the needs of non-traditional students and those returning to the workforce with the establishment of a PA National Guard Military Family Education Program that would allow veterans to transfer elements of the GI Bill to their children. Government streamlining efforts over Governor Wolf’s previous term have provided cost savings that will enable implementation of the SWEAP program without creating new taxes.